Need a jacket, pants, hat, gloves or just goggles? Loveland can rent you anything you need. Stop by the Loveland Basin or Valley Sport Shops and our expert staff can get you outfitted for your day on the mountain. Everything you need for a great day on the slopes at the right price. The Day Tripper package includes a full day lift ticket, ski or snowboard rental, and all your clothing: jacket, pants, gloves, and goggles.You can get the Day Tripper Package at the Basin (Main Mountain) & Valley (Ski School Beginner Area) Sport Shops. For more info, please call 303-571-5580 x 117. 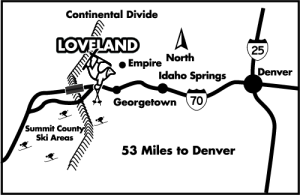 The Loveland Sport Shops have a limited number of Day Tripper Packages and are available on a first-come first-serve basis, no reservations. Don’t miss out on this great deal!